Krakow (Poland), 12th June 2018. 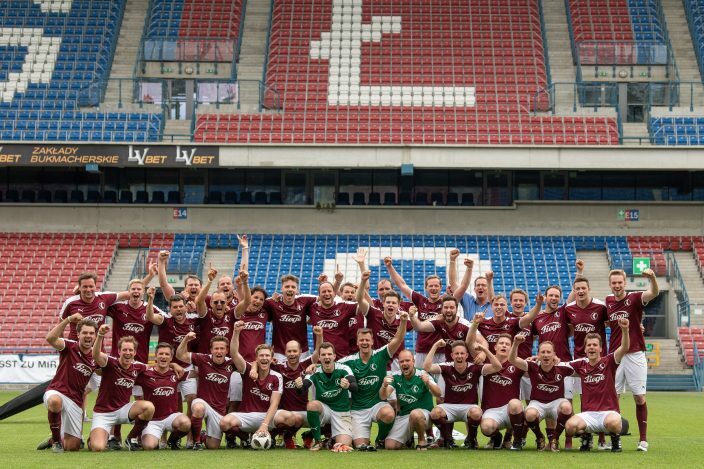 Over 1000 employees participated in the Fiege Soccer Cup in Krakow. 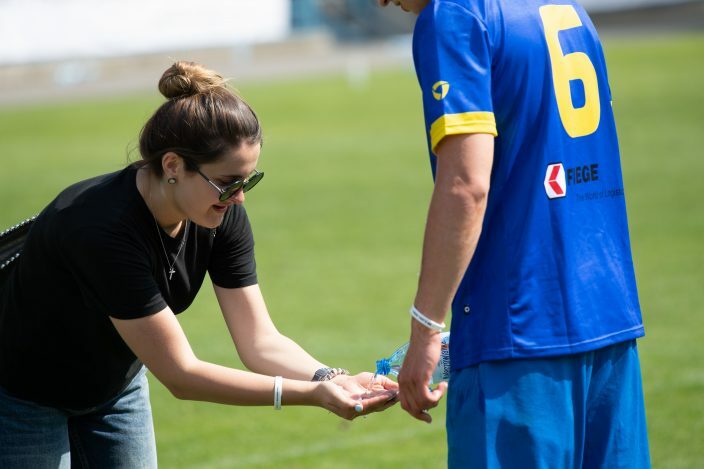 54 teams played off last weekend at the home stadium of Poland’s first league team, Wisla Krakow, cheered on by hundreds of fans. 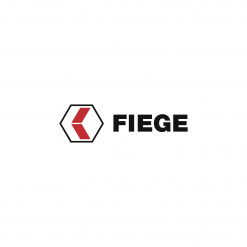 The football tournament thus made it as the all-time biggest event in Fiege’s company history. 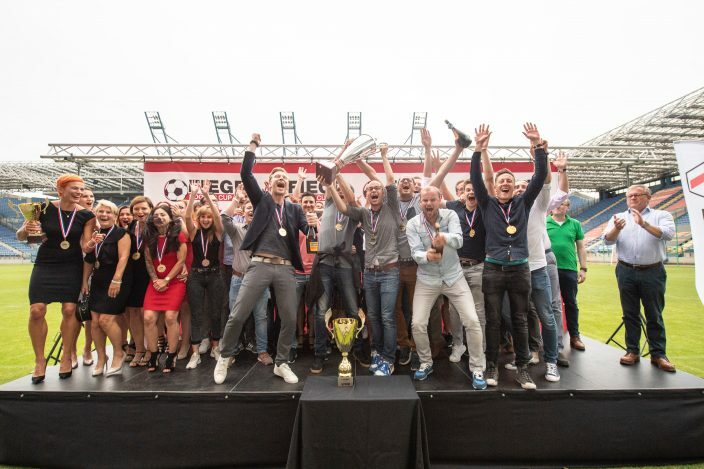 “Never before have this many Fiege employees come together – this is literally a historic event”, said Jens Fiege during the opening of the tournament on Saturday. Before this, his colleague on the management board, Felix Fiege, had welcomed participants in English, while Piotr Kohmann greeted everyone in Polish. 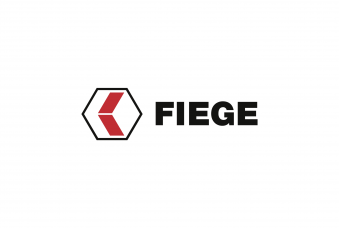 Kohmann directs the fate for Fiege in Eastern Europe, making him the tournament’s host. The year before, the Fiege Krakow team had won the Fiege Soccer Cup in Warsaw. It is tradition for the winning team to organise next year’s tournament. That is in and by itself a logistical challenge – the journey there, the accommodation, the catering and the tournament all needed to be planned and organised. Teams arrived in Krakow from eight different countries either by plane or by bus, to represent their locations. There were mixed teams, men-only teams, but also women-only teams. “Our colleagues from Belgium, from our location in Puurs had the longest journey getting here”, announced Felix Fiege. The distance between the community near Antwerp and the Henryk Reyman Stadium in Krakow is roughly 1300 km. And the journey into the final was just as demanding on the teams. From 10 am in the morning, to 6 pm in the evening, 106 group matches plus 31 knock-out rounds were played on the pitch at Wilsa Stadium which had been divided into six playing fields. 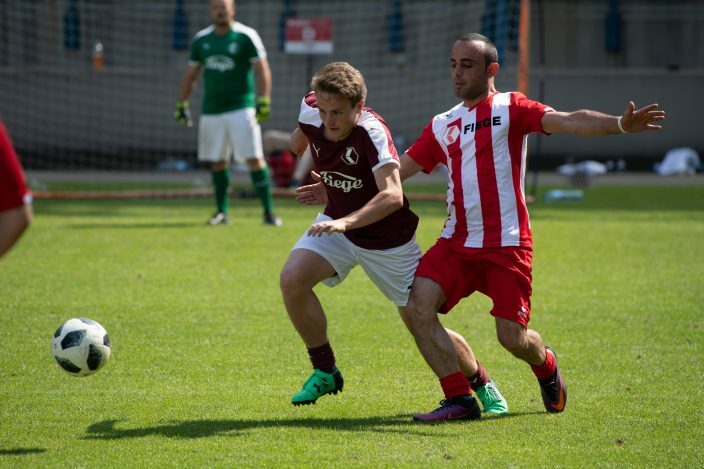 The two teams to make it into the finals in the end were the Austrian team of Fiege Austria, and Team Headquarters III from Greven in Germany. With a winning score of 2:0 for the Greven team, Team Headquarters III brought home the cup. “After three years in Poland, it was not a moment too soon”, said Christoph Mangelmans who had coached the Headquarters team together with Holger Wertschulte. The title of the tournament’s 13th edition therefore went for the first time ever to Greven.